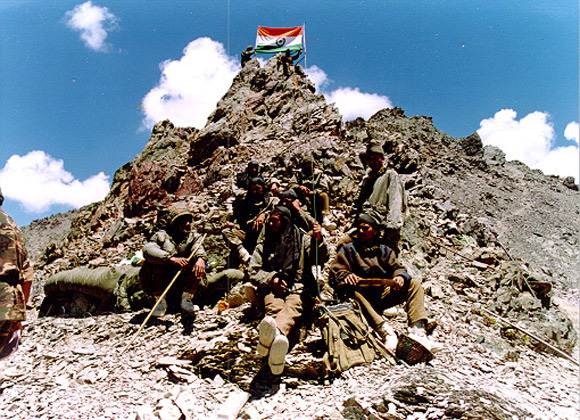 Rediff.com » News » Nitin Gokhale: The Indian Army's greatest tragedy! Nitin Gokhale: The Indian Army's greatest tragedy! The Indian Army's greatest tragedy! In the mad race to boost circulation and viewer ratings, the media may have, in one go, started the process of demolishing one of the last institutions that has stood rock solid in defence of idea that is India, says NDTV's Security and Strategic Affairs Editor Nitin Gokhale. In my three decades of reporting on the Indian military, I have never felt more uneasy about the military-media interface as I have in the past three months. This is not because the media has been accused of being sensationalist or because many unsavoury truths about internal rivalry and groupism in the military brass have created bad blood in the top hierarchy. 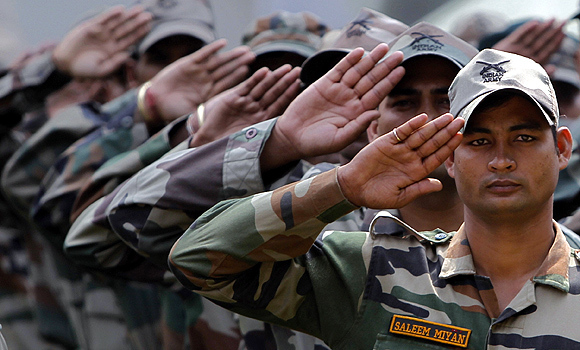 My unease stems from the damage that the events of the past few months have inflicted on the average Indian soldier. For at least a quarter of a century now, we have been lamenting the steadily diminishing status of the ordinary Indian soldier in society; that soldiering is no longer respected as a noble profession in our rural areas; that the jawan struggles to get his due from a civil administration increasingly contemptuous and apathetic towards him; that he continues to get paid poorly and treated unfairly by a society solely driven by materialism. Now, following a spate of reports based on half-truths and outright lies, motivated by God alone knows what, we may have done the ultimate disservice to the Indian soldier: Planted the seed of suspicion about his loyalty in the minds of ordinary Indians. While I will defend the right of every media person to report what he or she thinks is right, I am afraid none of us has thought through the consequences of the effect it will have on the psyche of the Indian soldier and, more importantly, the way ordinary Indians will view the Indian Army. In the mad race to boost our circulation and viewer ratings, we may have, in one go, started the process of demolishing one of the last institutions that has stood rock solid in defence of the idea that is India. For the first time in my now reasonably long career in journalism, I feel like hiding from my friends in the military. I feel we have not paused to think about the long-term damage we have wrought upon the profession of soldiering. While all dramatis personae are equally culpable in the current controversy, we in the media certainly have a greater responsibility not to add fuel to the fire. 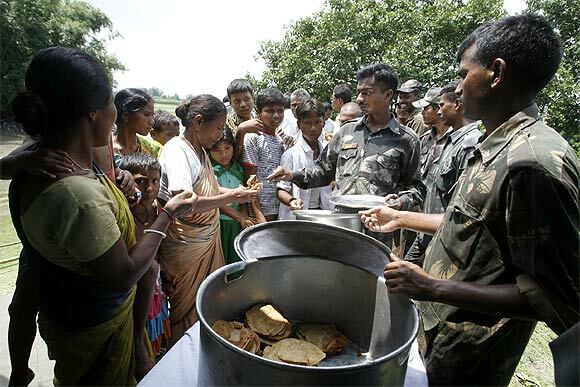 I say this because from disaster relief in floods, tsunamis and earthquakes, to rescuing an infant Prince from a deep tube well and from quelling rioters in communal strife to being the last resort in internal counter-insurgency operations, the Indian Army has been omnipresent. It is, what I call, India's Brahma Asthra (the ultimate weapon). The Indian Army's versatility, adaptability, selfless attitude and resourcefulness has allowed it to be what it is today: Nation Builders. 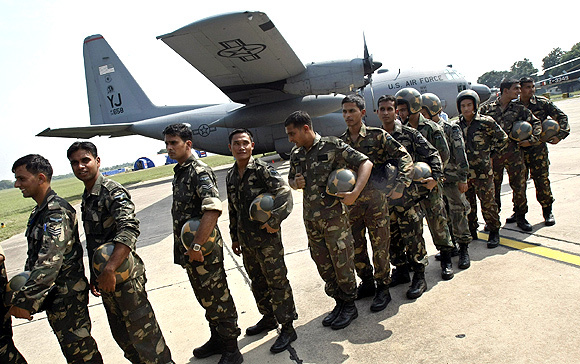 Viewed in the context of India's immediate and extended neighbourhood, the Indian Army's stellar role stands out in stark contrast to its counterparts in other countries. 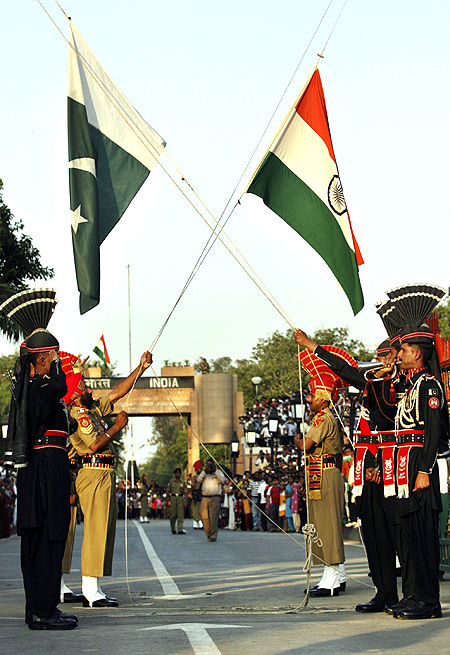 Remember, the Indian and Pakistani armies originated from the same source, the British army. Yet, six decades since they parted ways, there couldn't be a bigger dissimilarity in the way the two have evolved. As they say, India has an army while the Pakistani army has a nation! 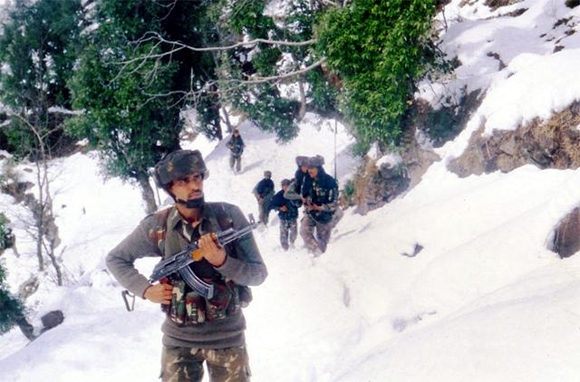 More importantly, despite India's increasing dependence on its army to pull its chestnuts out of fire time and again, the Indian Army has scrupulously remained apolitical. The Indian Army's contribution in nurturing and strengthening democracy with all its faults can never be underestimated. It has put down fissiparous and secessionist forces within India at great cost to itself over the last 60-odd years. It has protected India from within and without. 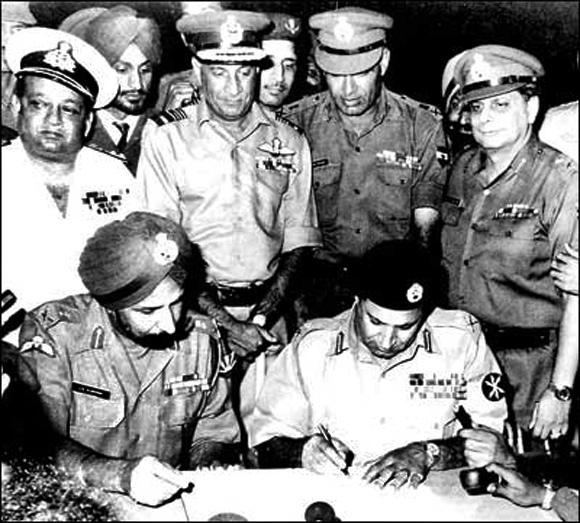 The Indian Army also has a unique distinction of helping create a nation (Bangladesh) in the neighbourhood and then quietly walking away to let the people take charge. In contrast, the Pakistani army has never really allowed democracy to flourish in its country. Instead, it has created a military-industrial complex that has spread its tentacles in every aspect of governance. Even today, the Pakistani army does not let go of any opportunity to undercut democracy; it nurtures and treats jihadi elements as its strategic asset against India and the United States. 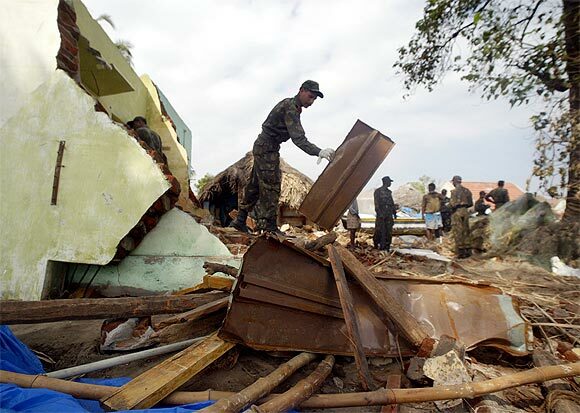 Even in other smaller nations around India -- Nepal, Myanmar and Bangladesh, for instance -- the armed forces have had to intervene and run the affairs of those countries at some point. The Indian Army has also withstood systematic assaults on its status from politicians and bureaucrats who are forever looking for ways to downgrade the military's status. While the principle of civilian supremacy over the armed forces is well entrenched and understood in India, what is incomprehensible is the constant chipping away at the military's standing. The nation as a whole, and indeed the people at large, have the highest regard and affinity for the men in uniform for the yeoman service they render in every conceivable situation. However, most mandarins at the ministry of defence and some politicians do not have the same opinion and are repeatedly trying to run down the military without realising the immense damage they cause to the only available bulwark we have against any attempt to Balkanise India. Now, unfortunately, even we in the media seem to have joined this ill-informed and devious bunch of opportunists. 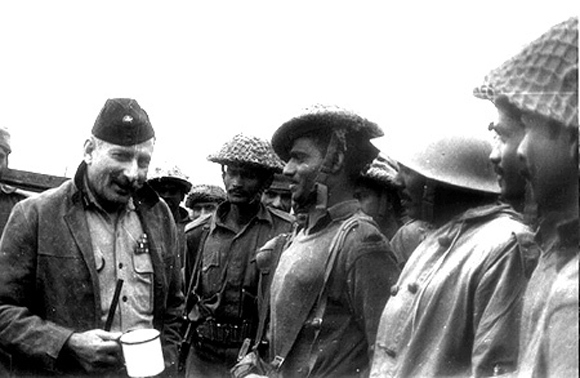 Historically, it is to the credit of the Indian Army that it has fulfilled its role as an organ of the State; it has functioned effectively in every type of role, in spite of the general lack of a supportive government environment by way of adequate finances, resources, equipment, personnel policies, or higher political direction. A nation's military provides what is called a hard-edged back-up to its international standing. A strong military -- and especially a powerful, well-trained, fully-equipped army -- acts as a deterrent against adversaries. It is therefore essential that the nation's decision-makers consciously back the army and provide it with the support it needs to meet diverse challenges that exist and are likely to come up in the coming decade. 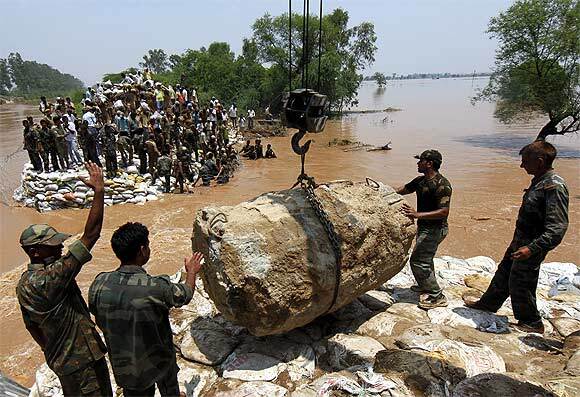 So far, the Indian Army has fulfilled its role in nation building admirably well. All of us -- ordinary citizens, media persons, politicians, bureaucrats -- must continue to back the nation's strongest asset and further strengthen it, if we desire to see India as a global player in the decades to come. Centuries ago, Kautilya, the wily old strategist, told Emperor Chandragupta Maurya why the soldier is important for the kingdom's survival. If India has to survive as a nation-state, this advice (reproduced from a piece written by Air Marshal S G Inamdar for the USI Journal) is worth repeating in its entirety here. As the learned air marshal says: 'It is amazing how clearly those ancients saw the likely faultlines in governance, the intricacies of management of the military by the state functionaries, the nature of the military and the citizenry and the close interplay between them all. It is truly amazing how those observations continue to be so completely relevant today, even after 2,000 years. 'The Mauryan soldier does not himself the royal treasuries enrich nor does he the royal granaries fill. 'He does not himself carry out trade and commerce nor produce scholars, thinkers, litterateurs, artistes, artisans, sculptors, architects, craftsmen, doctors and administrators. 'He does not himself build roads and ramparts nor dig wells and reservoirs. 'He does not himself write poetry and plays, paint or sculpt, nor delve in metaphysics, arts and sciences. He is thus the VERY BASIS and silent, barely visible CORNERSTONE of our fame, culture, physical well being and prosperity; in short, of the entire nation building activity. 'He DOES NOT perform any of these chores himself directly: he ENABLES the rest of us to perform these without let, hindrance or worry (nirbheek and nishchinta). 'Our military sinews, on the other hand, lend credibility to our pronouncements of adherence to good Dharma, our goodwill, amiability and peaceful intentions towards all our neighbour nations (Sarve Bhavantu Sukhinaha, Sarve Santu Niramayaha...) as also those far away and beyond. 'If Pataliputra reposes each night in peaceful comfort, O King, it is so because she is secure in the belief that the distant borders of Magadha are inviolate and the interiors are safe and secure, thanks to the mighty Mauryan army constantly patrolling and standing vigil with naked swords and eyes peeled for action (animish netre) day and night (ratrau-divase) in weather fair and foul, dawn-to-dusk-to-dawn (ashtau prahare) quite unmindful of personal discomfort and hardship, loss of life and limb, separation from the family, all through the year, year after year (warsha nu warshe). Can we all people in uniform, civil services, politics, media and society at large -- imbue this spirit? Nitin Gokhale is Security and Strategic Affairs Editor, NDTV.